Located in the heart of historic Brownsville, PA, Twelve Oaks Restaurant & Tavern is acclaimed for its fresh southern cuisine with a modern flair. This history of the house offers a glimpse into Brownsville’s rich and historic past. The building now called Twelve Oaks Restaurant & Tavern was originally the home of Thomas H. Thompson, son of Samuel Thompson, who owned and operated , in West Brownsville, the Samuel Thompson Distillery, founded in 1844. Known for its production of an excellent rye whiskey, the distillery operated until 1929 when Prohibition forced it to move to Canada. 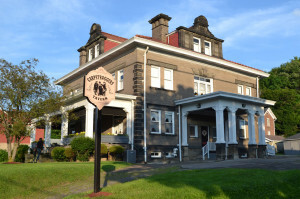 Designed by Pittsburgh architect Henry Estep, the twenty-one room Thompson Home (Classical Revival with Spanish Baroque influence) was perhaps the “highest style” home of the period in the river town of Brownsville. Dating back to 1906, this limestone, tile, and brick structure evokes admiration from all who visit. Its significance stems largely from its high style, no expense barred architecture, and its use of exotic woods. One is immediately impressed by the six foot wide staircase to the second and third floors. 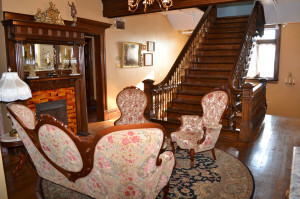 Equally noteworthy are the eleven fireplaces throughout, each featuring a different kind of wood and tile design…a hand painted ceiling depicting musicians is intact on the second level, a reminder of Olive Lemon Thompson, the musically talented wife of the original owner. The rooms, each with ten foot ceilings, are finished in a variety of woods – Yellow Pine, Douglas Fir, Bird’s Eye Maple and quarter sawn Oak to name a few. Thomas H. Thompson died in 1925. His widow Olive kept the house until 1949, at which time she sold it to the Masonic Building Co. In 1953, William Guseman purchased it. He sold it to the Jehovah’s Witnesses in 1954. Mary Jean Cicconi purchased it in August of 1990 and began a three year complete restoration project. The Thompson House is listed on the National Registry of Historic Places. In addition it received the 1994 Outstanding Achievement Award for Restoration. The house now features “The Twelve Oaks Restaurant & Tavern,” which is named after the Southern Plantation in “Gone with the Wind”, and offers a flair to the Southern Cuisine and Hospitality. It also offers The Carpetbaggers Tavern and the Ashley Banquet Room on the lower level, along with the Bonnie Blue Tea Room and the Magnolia Private Dining Room on the second floor. 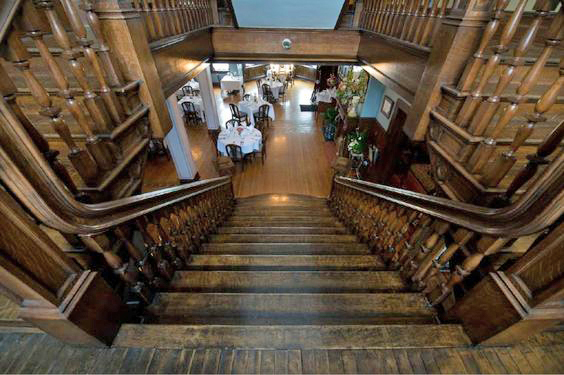 The atmosphere in the restaurant matches the elegance of the historic building. Our greatest pleasure is to be chosen for the most intimate occasion as well as for those more than special family gatherings. 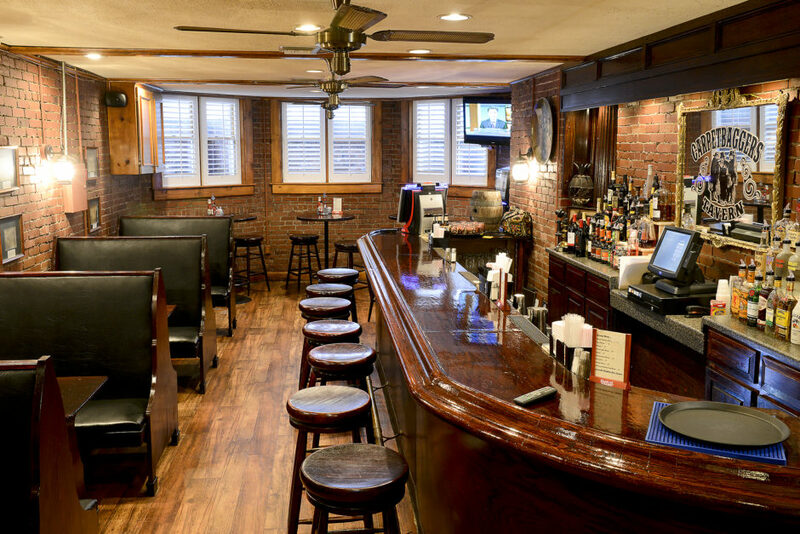 We hope that you will enjoy the taste, atmosphere and hospitality of the old South.